How do I change the email displayed on the print version of my CV/resume? I found every place I could to change my email and an old email address is still appearing on the print version of my CV. This old email doesn't work and it's generating awkward exchanges with potential employers. How do I fix this? Thanks! Please have a look at your Preferences Page and see if you have different "Q&A Emails" and "Jobs Emails" addresses. 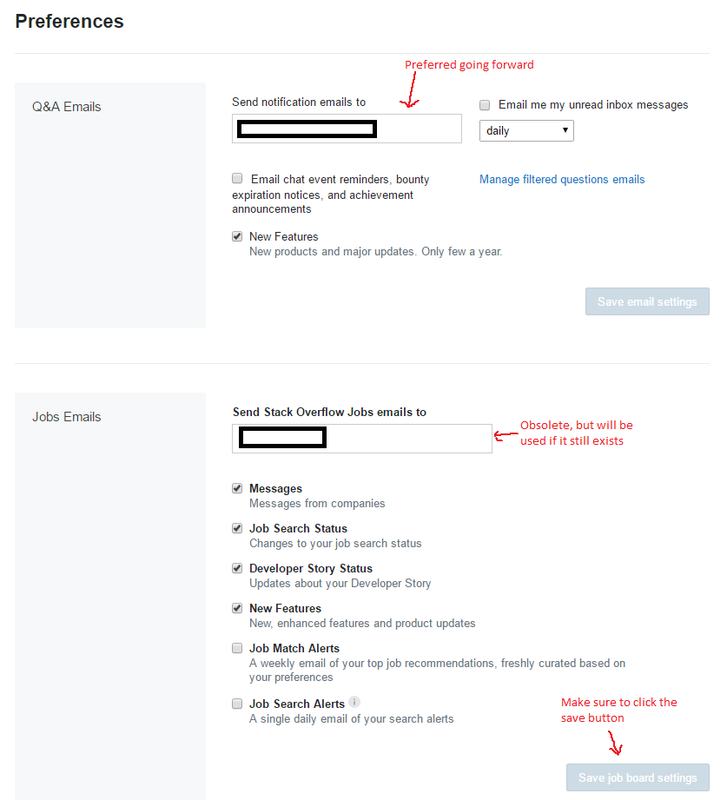 Your Jobs Email will be used if it exists (we're moving away from that because we're revamping our entire email sending infrastructure), otherwise your Q&A Email will be used, which is the preferred one going forward. Make sure to click the Save button if you change/remove your Jobs Emails email. Not the answer you're looking for? Browse other questions tagged support developer-story cv-export . How can I change the email of the printed version of resume? How to completely change my email? Can we have a “My Best Answers” section? How can I configure tag subscription email accounts? Dev story public links now show your screen name instead of your real name; something I can rely on, or a bug?